Mezzan Holding to debut on the KSE on June 11 – Mezzan Holding Co.
Kuwait, May 27, 2015 — Mezzan Holding KSCC, one of the largest manufacturers and distributors of food, beverage, FMCG, and pharmaceutical products in the Gulf, today announced the company’s shares will be listed on the Kuwait Stock Exchange (KSE) on June 11. Established in the early 1940s, the company distributes over 25,000 Stock Keeping Units (SKU) and operates in seven countries, making it a market leader in terms of SKUs, unit sales, market share, and in terms of share of revenues of total consumer spending in consumer categories served by Mezzan Holding. Once listed, the company will be the 13th largest KSE-listed company by revenue, based on full-year 2014 results. The company had appointed Watani Investment Company KSCC (NBK Capital) as a exclusive financial advisor and lead manager for the secondary offering of 30% of the company that was successfully concluded on May 12 of this year. The placement was oversubscribed by two times as it presented investors with the unique opportunity to invest in a company with deep access to the Gulf’s food and FMCG sector; a sector that is not only defensive by nature, but also a sector that is controlled by a handful of private, family-owned companies. NBK Capital is also acting as listing advisor to list Mezzan on the Kuwait Stock Exchange. 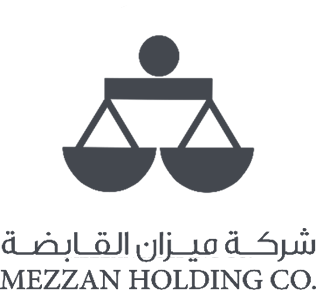 As a result, Mezzan’s offering generated strong demand from local retail investors and private companies, and from local, regional and global institutional investors, government investment arms, fund managers and corporates. 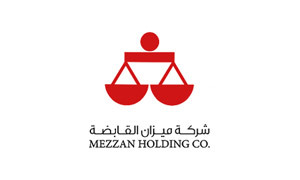 Mezzan Holding operates 29 subsidiaries and is operationally structured into two primary business lines: the Food Business Line and the Non-Food Business Line. With both business lines combined, the company manufactures and distributes over 358 leading consumer brands, including consumer favourites such as KITCO chips and snacks, Country Rice, Khazan meat products, Al Wazzan Rice and, Al Wazzan Canned Tuna, Aqua Gulf, Pillsbury, Green Giant, Sara Lee, Betty Crocker, Tabasco. The company is also the exclusive distributor of Starbucks Coffee chilled products, Johnson & Johnson, Dettol cleaning products, Kleenex, Listerine, Pif Paf, Huggies, Clearasil, Neutrogena, Zyrtec, Tylenol, Olfen, Misporin, Gaviscon, and hundreds of other products in Kuwait as well as Red Bull in the UAE.